Chris recently helped his daughter Kitty-Blu, to have her first taste of being a model by inviting her out to a shoot he was working on in New York for Cosmopolitan.com. Kitty flew out to meet her dad, where they worked together on a video for an online article promoting Colour Wow’s new humidity proofing product, ‘Dream Coat’. 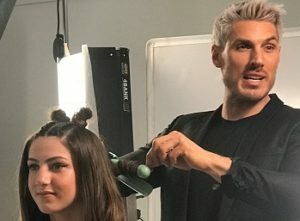 Chris styled her hair for the video explaining how to re-create three of Ariana Grande’s most iconic hairstyles, with the protection of Dream Coat. As Ariana Grande’s hair stylist and Ambassador for Colour WOW, who better than Chris to demonstrate these looks?! Check out the full video below, and to read the full article…click here. COULD YOU BE THE NEXT CHRIS APPLETON? Chris’s career has seen him go from graduating as an apprentice at the George’s Granby Street salon in June 2000, to working in Hollywood for the past two years. 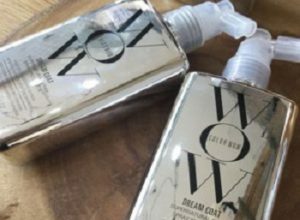 As well as working with big celebrity names, Chris also has the opportunity to work with some of the hottest products in hairstyling, such as Dream Coat by Colour WOW. 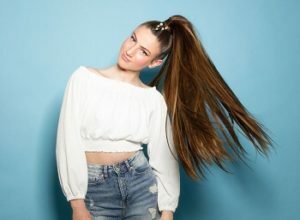 If you think you have what it takes to join our AWARD-WINNING team of passionate stylists, head to https://www.georgeshairdressing.com/careers/ to apply now!